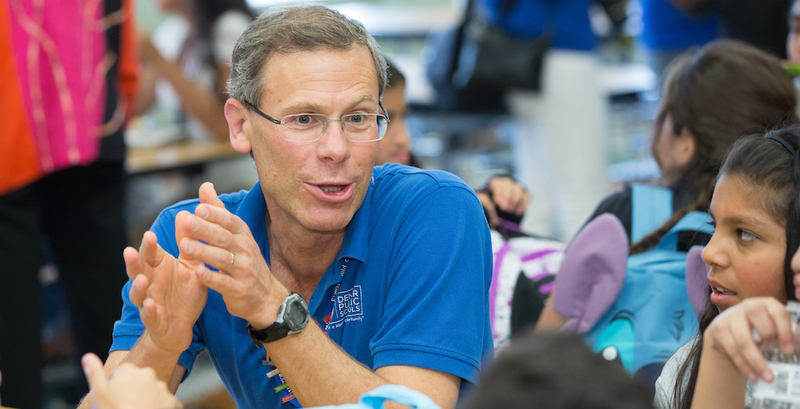 Since Tom Boasberg’s appointment as superintendent of Denver Public Schools in 2009, the district has posted record enrollment increases and increased its four-year graduation rate by over 25 percentage points. Over the past decade, DPS has moved from being the district with the lowest rate of student academic growth among major Colorado districts to the district with the highest rate of student academic growth. DPS has received national recognition during this time for several initiatives, including exceptional leadership development programs for teachers, school leaders, and principal supervisors; school choice; collaboration among district-run and charter schools; and promising new schools. Boasberg, a Yale University graduate and Stanford University–educated lawyer, brings a breadth of domestic and international education, business, and political experience to his current role. In this ‘A’ Word interview, Boasberg makes it clear that organizations, including schools, cannot function without strong accountability systems. They are a way to reward people who are excelling, and are a way to guide decision-making when change is needed. Boasberg is adamant, though, that accountability is not about punishment. It is about meeting goals, and making sure teams and individuals have the supports and resources to meet their goals. How do you define accountability? And has that changed over time? Accountability is being clear on your performance goals and standards. It’s being transparent on where you are reaching and not reaching those goals. And, importantly, it’s a willingness to change when you’re not meeting them. For me, in a nutshell, that is accountability. The importance of having clear goals, being transparent about the degree to which you’re meeting them, and possessing the willingness to make changes and improvements. Critically, that includes supports when we’re not meeting our performance goal. Everything is accountability when you’re part of one organization; it’s shared. Accountability is not for any single unit. We share accountability for performance as well as individuals being reasonable and accountable for their own performance. Has that changed or evolved as you’ve had time under your belt as superintendent? I don’t think it has. Fundamentally, accountability is not about punishment. That is very important. Accountability is being clear about what you’re seeking to achieve, being transparent about when and how you are going to achieve those goals, and being willing to make changes to get there when you haven’t reached your goals. Accountability is not about punishment. Accountability is about change and improvement to reach goals. How have accountability practices and principles supported some of the decisions you’ve made? Importantly, accountability is one of our district’s core shared values, which were picked by well over 1,000 of our educators. They include putting students first, integrity, equity, and collaboration. You can’t have students first, integrity, or equity without accountability. We’re accountable for everything we do, whether at the district level, support level, school level, or individual level. We’re accountable for the results we seek to achieve, and we’re accountable to take the steps and, in some cases, make the changes to reach those goals. Accountability is a shared core value of Denver Public Schools, and it’s at the heart of everything we do in delivering results for our kids and for our families. You just rattled off a great list of core values. Were you surprised by where the process of creating them led you? We brought in employees from bus drivers to teachers to food service for a whole day. There was a question about what values people ultimately were going to come up with. But as people got together, they took pride in their performance. They believed that we all have to rely on each other. In a team, members need to be accountable. No one wants to play on a team where other members don’t have a degree of accountability for their performance. It was striking to see that accountability is as much a value of our teachers as it is for our school leaders and district leaders. How did you navigate a time when you and your team were trying to implement an accountability practice and encountered resistance? The example that I have in mind has to do with achievement gaps and opportunity gaps in our district, just as you see throughout the country. It’s very important that we are transparent about what those gaps are and that we are accountable to make changes to address those gaps. You can’t just say, “Oh, gee, the gaps are there. We’re really unhappy about them.” The issue is, what are you going to do, or do differently? That, to me, is accountability. We have had important discussions around what fixes and practices we have that provide our most talented leaders and teachers the supports they need to work in our higher-poverty schools. The discussion also focused on getting our higher-poverty schools resources on a differentiated basis to better meet the needs of their kids. This means our higher-poverty schools are going to get more resources than others. Supporting our teams and kids is a key part of accountability. Accountability also includes moving to restore or replace a school with a stronger school if the campus doesn’t see stronger student growth after receiving supports for a period of time. This is about both personal and organizational accountability. It’s about being responsible for supports and making changes when we’re not seeing the results that we need. 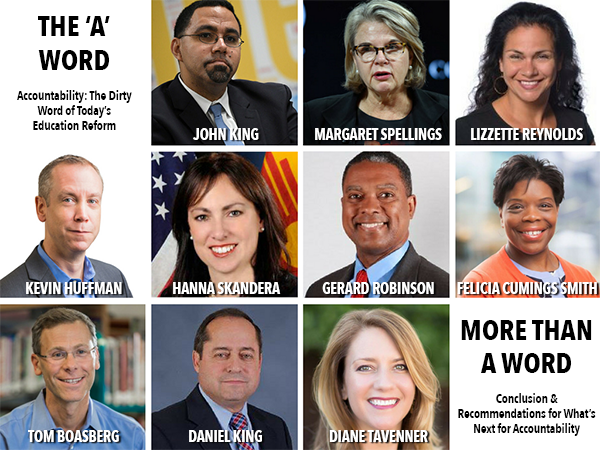 What do you wish your colleagues, DPS parents, the media, and community leaders in Denver understood about accountability? That when we’re not seeing the kind of results we want to see for our kids, it is really important to make changes. Most people agree with that. At the same time, you see lots of change and resistance when those changes affect individuals and relationships, which we naturally are concerned about. Our fundamental responsibility is to our kids. At times, that’s going to mean making difficult and painful decisions about individuals and schools. Most people understand that in their heads, but sometimes it’s hard to see the individuals and relationships we care about being affected. Do you have an example of finding common ground with a constituent or partner who was not in favor of an accountability-based practice or a decision? Sure. Before one of our low-performing elementary schools had gone through a turnaround, we sat down with parents and discussed how the kids weren’t getting the growth they need. We talked about needing to redesign the school. There were a lot of concerns, resistance, and questions. We had to start with, does the school need changes? What do the results say? And then we talked about how we could shape those changes so we end up with a stronger school. We asked, what do you want and need? A year later, it was striking to see those parents say, “Thank you. Our kids are doing much better.” They made it clear the changes were painful. But they acknowledged their kids were doing better and that they appreciated the supports and changes. Where do you think we’ve gone wrong in building this kind of broad support for accountability? This means bringing people into the goal-setting process so that they have an ownership stake in those goals and reaching them. Do you have the right kind of autonomy and supports to achieve the aggressive goals that have been set for you? Or, put another way, are there obstacles that keep you up at night? Sure. There are tons of obstacles, from historical practices to resources, to funding, to this increasingly divisive political environment. I’m extraordinarily upset and concerned about the divisiveness of the rhetoric coming from some of our national political leaders. They hurt efforts to bring people together, to unite them. At the same time, I do feel that we have the autonomy and that it’s up to us to perform. It’s up to us to work with our community. It’s up to us in our democracy to have two-way dialogue to generate a political consensus and support around goals and around key activities, and it’s up to us to recognize, in a democracy, there’s never going to be 100 percent support for anything, and there are times when you’re going to have to make decisions that people are going to disagree with. It’s very important to hear their voices, but the perfect can’t be the enemy of the good, and as a leader, you have to sometimes make difficult decisions that some members of your community are not going to agree with. And that’s the nature of democracy. What data points do you pay attention to the most? Is there something you wish you could track that you can’t easily do so now? First and foremost, I pay attention to student growth. The students come in high-achieving, middle-achieving, low-achieving, or very in-between. We want to see them grow, right? For example, we look carefully at how kids, on our whole-child indicators, are being supported and challenged and engaged, for an example, so I think that whole-child data is important. I think we have to look very carefully at equity data, which involves our kids from different economic and racial backgrounds receiving support, making the same progress, getting the same access. We also look at adult data, which is how are we doing in terms of recruiting and retaining and developing our educators. For you, what would a perfect accountability system look like in Colorado? I’m not sure there is a perfect one. In fact, I’m sure there’s not one because so many conflicting values go into it. But I think that it’s a system that places a premium on the growth of kids as opposed to just their status, and one that pays very careful attention to closing gaps. We’re a state in the country with very wide gaps in inequities in our schools and in our society, so we need to pay really close attention to how we’re doing in closing those gaps. I think it’s, very clearly, the inequities of opportunities for kids. We see that in so many ways, from the way we construct our districts to isolate kids in poverty to our funding mechanisms that don’t provide the necessary resources and supports to help kids in poverty. There’s just so many elements of our system that advantage families that already have the most advantages and don’t provide necessary resource supports for families who have the least. Too often this conversation divides into “Are you for accountability, or are you for support?” That often is the way the debate gets framed. Like so much else in our political discourse, it’s a polarization that turns into an “either/or” conversation that should certainly be about both. We must have high levels of supports for our teachers, our school leaders, our schools, and we must have clear accountability. We need to reframe this as a “both/and” discussion. You can’t have support without accountability, but likewise, you can’t have accountability without support.